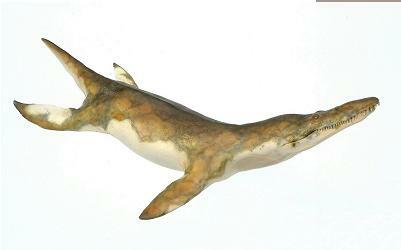 Kronosaurus was a short-necked plesiosaur, a meat-eating marine reptile 30 feet (9 m) long. It had four flippers, a huge head with strong jaws, and a short, pointed tail. 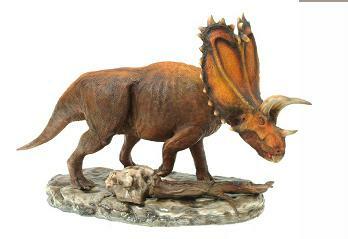 The head was up to 9 feet (2.7 m) long, about 1/3 of the entire length of the body. It had rounded teeth at the back of the jaws which could crush shells and cephalopods (squid and octopi). Kronosaurus was not a dinosaur, but a plesiosaur, another type of extinct reptile. 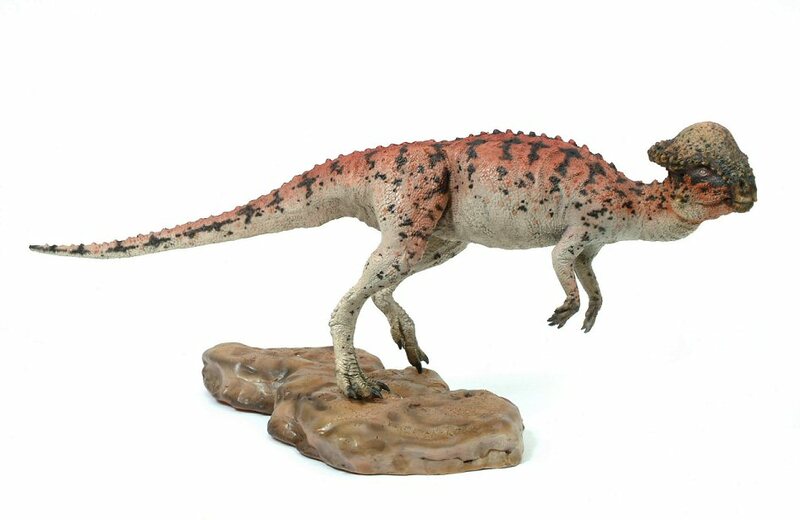 Plesiosaurs may have evolved from the Nothosaurs or the Pistosaurus, a mid-Triassic reptile. 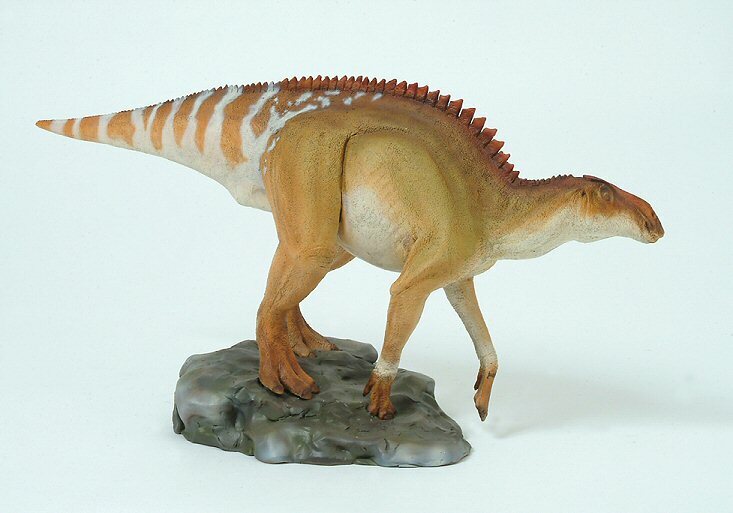 The hadrosaur group, of which Brachylophosaurus was a member, is known as the "duck-bills," although this feature is not very prominent in Brachylophosaurus. Its most obvious characteristic is the crest for which it is named. Some of the hadrosaurs had hollow crests through which they might have blown air, but the crest of Brachylophosaurus is solid. It ran with its body horizontal and its tailed stretched out for balance. It is known from fairly complete fossils found in Canada.